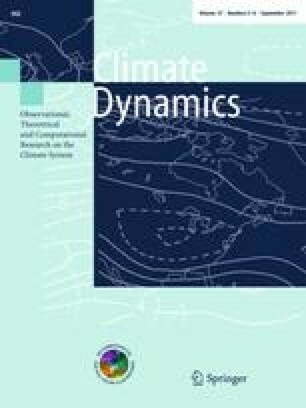 This study examines the influence of the mid-latitude circulation on the surface heat low (HL) and associated monsoon rainfall over northwestern India and Pakistan using the ERA40 data and high resolution (T106L31) climate model ECHAM5 simulation. Special emphasis is given to the surface HL which forms over Pakistan and adjoining areas of India, Iran and Afghanistan during the summer season. A heat low index (HLI) is defined to depict the surface HL. The HLI displays significant correlations with the upper level mid-latitude circulation over western central Asia and low level monsoon circulation over Arabian Sea and acts as a bridge connecting the mid-latitude wave train to the Indian summer monsoon. A time-lagged singular value decomposition analysis reveals that the eastward propagation of the mid-latitude circumglobal wave train (CGT) influences the surface pressure anomalies over the Indian domain. The largest low (negative) pressure anomalies over the western parts of the HL region (i.e., Iran and Afghanistan) occur in conjunction with the upper level anomalous high that develops over western-central Asia during the positive phase of the CGT. The composite analysis also reveals a significant increase in the low pressure anomalies over Iran and Afghanistan during the positive phase of CGT. The westward increasing low pressure anomalies with its north–south orientation provokes enormous north–south pressure gradient (lower pressure over land than over sea). This in turn enables the moist southerly flow from the Arabian Sea to penetrate farther northward over northwestern India and Pakistan. A monsoon trough like conditions develops over northwestern India and Pakistan where the moist southwesterly flow from the Arabian Sea and the Persian Gulf converge. The convergence in association with the orographic uplifting expedites convection and associated precipitation over northwestern India and Pakistan. The high resolution climate model ECHAM5 simulation also underlines the proposed findings and mechanism. This study is supported by the International Max Planck Research School on Earth System Modeling, Hamburg, Germany. The study was further supported by the project “Integrated Climate System Analysis and Prediction (CLISAP)”. ERA40 data produced by the European Centre for Medium Range Weather Forecast and the observational precipitation and surface air temperature data assembled by the University of Delaware from Global Historical Climate Network has been used. The authors would like to thank Erich Roeckner and Bjorn Stevens from the Max Planck Institute for Meteorology for their valuable comments and suggestions on the first draft of this manuscript. Finally, the authors would like to sincerely thank the esteemed reviewers for their worthy comments and valuable suggestions which immensely helped us in improving this paper.